How Will Rising Inflation Impact Small-Caps? 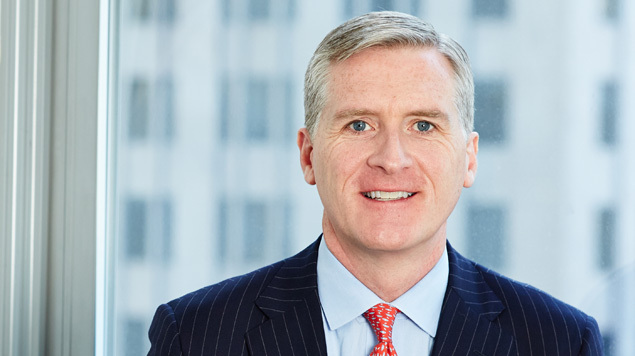 Co-CIO Francis Gannon on what rising inflation risks may mean for small-cap investors. Although it’s the time of year when many of us are escaping on late-summer getaways, a vigorous debate about the outlook for the economy, inflation and equity markets rages on with a passion that seems especially lively for a time when many are enjoying the last tranquil days of August. On the one hand are stalwart bulls and other optimists. They tout the improving GDP growth and point to the glowing confidence emanating from the C-suites of businesses large and small. Other voices warn that the economy may be overheating, which could generate the risk of surges in inflation and interest rates that in turn could stall economic growth and almost definitely cause trouble for stock prices. We agree with certain elements of each of these views. Based on our research on small-cap companies and meetings with managements, we agree with the optimists in expecting solid growth—though at a more moderate clip. We don’t see signs of imminent recession. If anything, we see evidence of ongoing positive developments in certain key areas. For example, trends in CapEx, transportation, and technological innovation (with its associated demand for components, semiconductors, etc.) continue to be favorable. We also do not anticipate violent spikes in inflation or interest rates. While fully aware of the dangers for equities inherent in an overheating economy, we don’t currently see signs that this is likely. What we do see that raises some concern for us is more inflation than many investors seem to be aware of. Looking at recent PPI (Producer Price Index) numbers shows the effect of increased input costs—a traditional early indicator of increasing inflation. The Producer Price Index (PPI) is a family of indexes that measures the average change in selling prices received by domestic producers of goods and services over time. Similarly, recent activity in the employer cost index also shows a definite inflationary trend. This trend has been confirmed in our conversations with small-cap executives who have remarked on the increasing challenge of finding qualified employees. The employment cost index (ECI) is a quarterly economic series detailing the changes in the costs of labor for U.S. businesses. The ECI is prepared by the Bureau of Labor Statistics (BLS). To be sure, an uptick in inflation is usually a sign of a growing economy. It has also historically had the effect of pushing rates up and multiples down. The former is already happening, if only by fits and starts, while the latter looks increasingly likely to us. Based on this, we continue to think that select cyclicals—particularly those with strong earnings and profitability—are well positioned to benefit from a still solidly growing economy, especially in an environment that may challenge stocks with higher multiples and/or more sensitivity to rising yields. Additionally, we have also been reducing or selling positions in which valuations appear unsustainably high to us while holding those that look best suited for a period with continued economic growth along with higher rates and more inflation.